Description: Level 2 of the ECWCS system. 93% Poly/7% spandex, provides extra warmth in cooler climates. Highly breathable, moisture wicking grid fleece. Microban for anti-microbial and anti-odor protection. Elastic waist & bottoms, access fly. 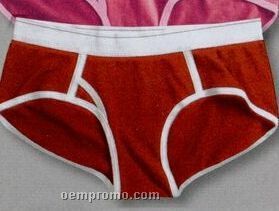 Description: 6.5 ounce 95% cotton/ 5% spandex. Satin elastic trim. Pre-shrunk. Description: Our Specialty. 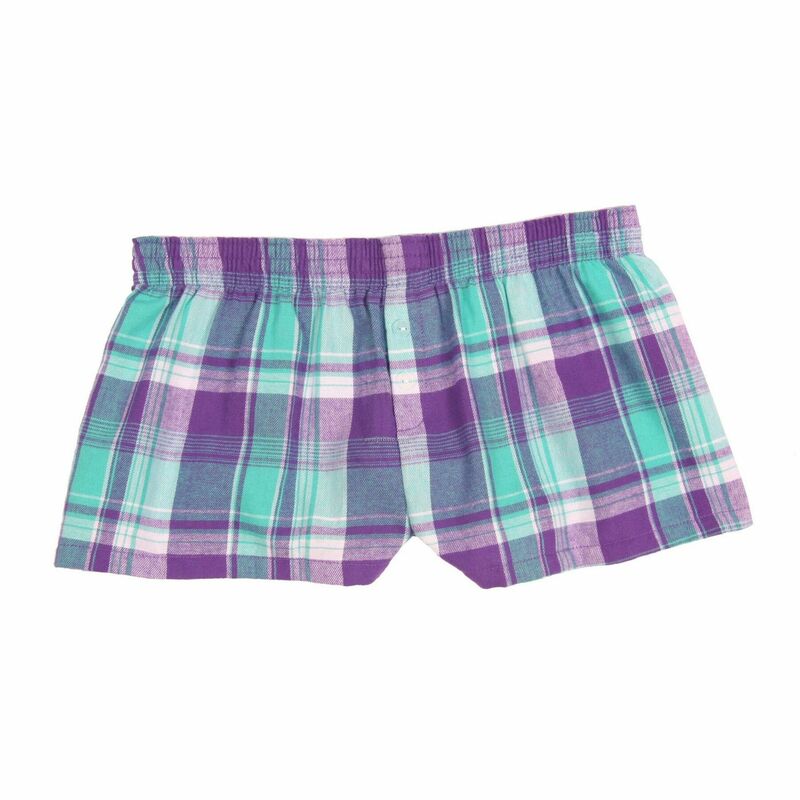 Your logo printed all-over on our standard fabric unisex boxer shorts. They can be customized with pockets, flies, or drawstring, call for details. 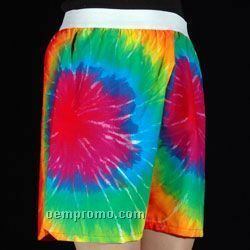 Description: Our unisex boxers in camouflage or tie-dye print with an exposed elastic waist. They can be customized with pockets, flies, or drawstring, call for details. Description: Contemporary fit featuring Mossy Oak Camouflage. Black accented straps. Underwire provides ample support. Made from soft, silky 100% polyester fabric. Back closure. Available in sizes 32A, 32B, 34B, 34C, 36B, 36C, 36D, 38C and 38D. 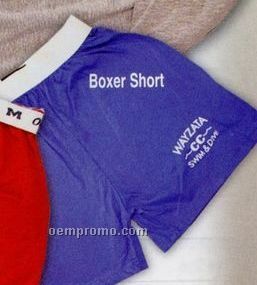 Description: Our best fitting women's boxers! 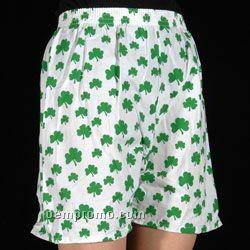 These shorts feature a 1" inseam, imprintable elastic band, false fly with 2 buttons, and comfy fit. Imprint inside elastic.